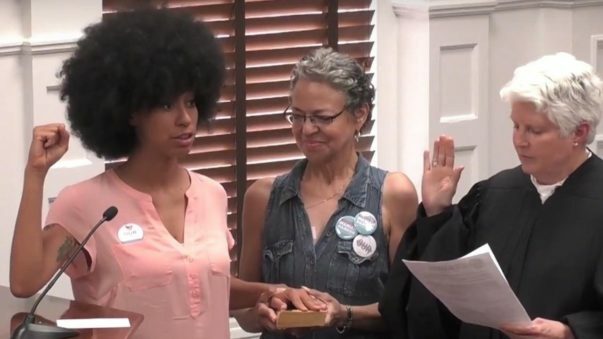 Mariah Parker, a 26-year-old from Athens, Georgia took her oath of office for County Commissioner of District 2 not with the Bible but with her hand on Alex Haley’s The Autobiography of Malcolm X.
Parker won her election with 13 votes. With her mother by her side Parker was sworn in at the City Hall in downtown Athens, Georgia. The community activist replaces the seat by Harry Sims who is running for mayor of the town.